BrightStar’s Child Care services range from babysitter and nanny services to highly skilled pediatric nursing. Let us show you how we deliver a Higher Standard of Care for you and your family. We offer flexible sick-day childcare and sitter services and pediatric home care, including a wide range of home care services for children with special needs. Our clinical caregivers are experts in well-baby and newborn care. Our in-hospital companions give family caregivers a respite break and peace of mind that their child is being looked after when in the hospital. Let the BrightStar family care for yours. Call BrightStar Care at (647) 793-7007 today. Only the highest quality of care and expertise in assisting children with special needs based on their unique care requirements. Any time and in every setting. 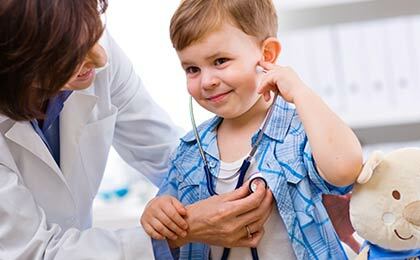 Personalized pediatric nursing homecare for children and infants with a wide range of needs. Whatever your child’s needs, our highly skilled care professionals can help. Compassionate respite care to give you a break without sacrificing peace of mind during a long hospital stay. Let us know how we can help you.